The predominant ideology in Washington isn’t liberalism or conservatism. 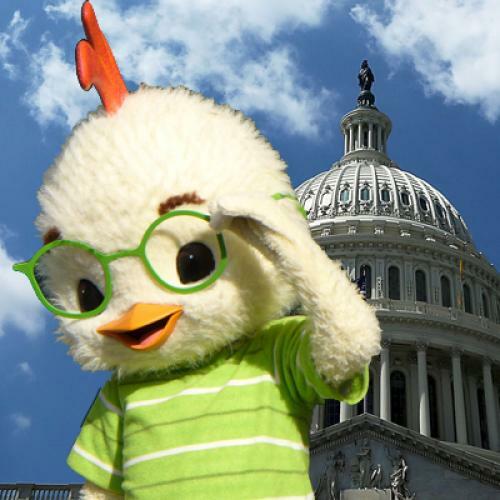 It’s Chicken Little-ism. More and more, when reading Politico, I feel as though each article should come with a Surgeon General–style warning that whatever you’re about to read is hype-distorted by a factor of at least 20 percent. I recommend discounting by at least 50 percent for this one. What is this insanely radical proposed filibuster reform? The only proposal Majority Leader Harry Reid is really pushing for would eliminate filibusters on “motions to proceed.” The minority would still be free to filibuster to its heart’s delight on the bill itself. I don’t see how this would address the problem at all. According to Politico, Reid is also threatening to revive the “talking filibuster,” but I don’t really believe Reid will go there; I think he’s just using the threat to position himself as a “reasonable” (i.e., inadequate) reformer. Reid would make his minimal change to the filibuster rules subject to a simple-majority vote. This has been dubbed “the nuclear option” by opponents because the current Senate rules say changes must be subject to a two-thirds majority vote. But Senate rules can—and in this case, must—be changed if the Senate is to get anything done. “It will shut down the Senate,” Politico quotes Sen. John Cornyn of Texas, incoming GOP whip, threatening. Oh, please. Reid already employed a similar “nuclear option” in October 2011 when Republicans were trying to force a vote on a killer amendment to a bill related to foreign currency manipulation. I won’t get into the particulars, but it required Reid to overrule the Senate parliamentarian and to block what was, in effect, a filibuster. The Hill called it a “shocking development,” but I bet you didn’t even hear about it. Republican threats to shut the Senate down lose their leverage when the Senate is already pretty much shut down. I wish others covering the filibuster controversy would take note (as, ahem, I do in my current TRB column) that during the current do-nothing congressional session Senate cloture votes (a rough proxy for the number of filibusters) dropped by only one-quarter even as Senate bills passed dropped by nearly one-half. True, the number of filibusters went down compared to the previous session. It could hardly do otherwise, because the president barely pressed for any legislation during the run-up to the 2012 election. But the proportion of filibusters, relative to bills passed, roughly doubled. The Senate has been brought to a standstill. Republicans would take to the floor and start arguing for the bill. Fox News, Rush Limbaugh and the rest of the Republican-aligned media would treat them as heroes. That would only increase pressure on potentially wavering Republicans to stick to the party line.... The result? Republicans would be stacked up in line to deliver ringing denunciations of the offending legislation, stocked with the latest talking points—remember, there’s no need to read from phone books or recite recipes when there are transcripts of Glenn Beck’s show or your favorite conservative blogger to deliver. Democrats would eventually have to bring down the bill. It’s an interesting argument, but I’m not convinced. Old-school filibustering was a fairly exhausting business for all concerned, particularly when compared to a quick three-minute hit on Fox News. I seriously doubt the minority would have the physical endurance to resort to it as frequently as it does to the non-talking (“procedural”) filibusters of today. Also, blanket TV coverage is a double-edged sword. In the C-SPAN era, making filibusters acts of televised procedural obnoxiousness would risk alienating a general public that’s fed up with Washington's games. Maintaining a hold-the-floor-style filibuster would require more political endurance than most legislators could usually muster. I may be wrong about that. But if I am, we can just wait two years and then abolish the filibuster altogether. I’d be for that (as I have been in the past) no matter who is in the majority, because the public’s business must be done.